Wavelets have been successfully applied to many areas. For high-dimensional problems such as image/video processing, separable wavelets are widely used but are known to have some shortcomings such as lack of directionality and translation invariance. These shortcomings limit the full potential of wavelets. In this talk, we first present a brief introduction to orthonormal wavelets and tight framelets as well as their fast transforms using filter banks. 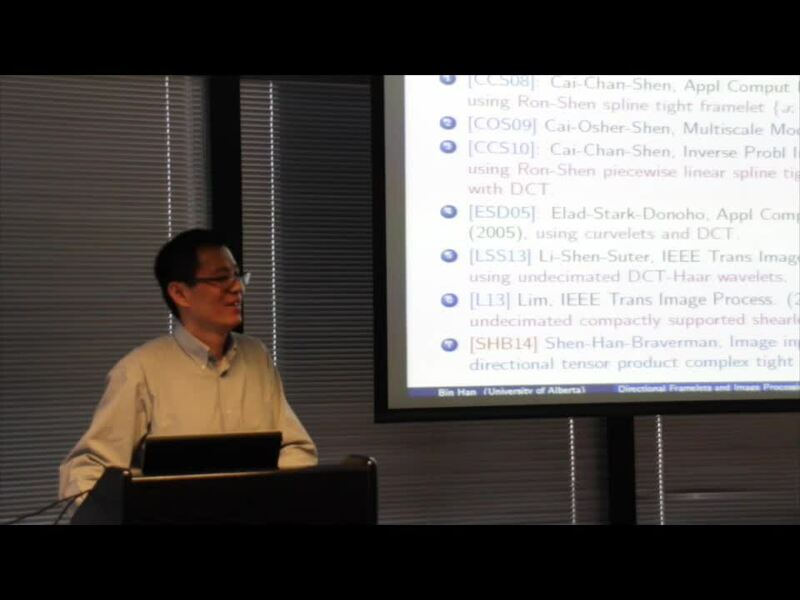 Next we discuss recent exciting developments on directional tensor product complex tight framelets (TP-CTFs) for problems in more than one dimension. For image/video denoising and inpainting, we show that directional complex tight framelets have superior performance compared with current state-of-the-art methods. Such TP-CTFs inherit almost all the advantages of traditional wavelets but with directionality for capturing edges, enjoy desired features of the popular discrete Fourier/Cosine transform for capturing oscillating textures, and are computationally efficient. Such TP-CTFs are also naturally linked to Gabor (or windowed Fourier) transform and can be further extended. We expect that our approach of TP-CTFs using directional complex framelets can be applied to many other high-dimensional problems.